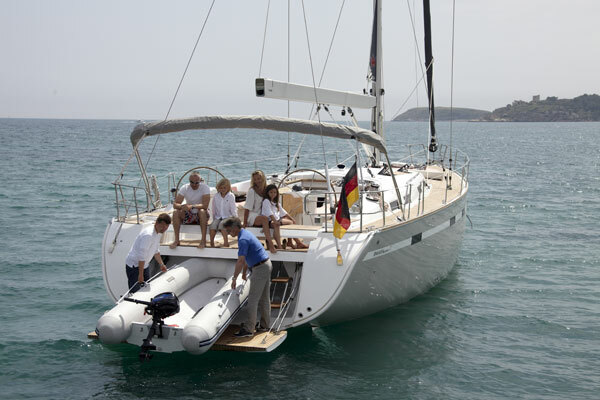 The Bavaria 55 Cruiser is available for bareboat charter in the Mediterranean from Athens and offered in the Greek Islands including the Cyclades, Dodecanese and the Ionians. 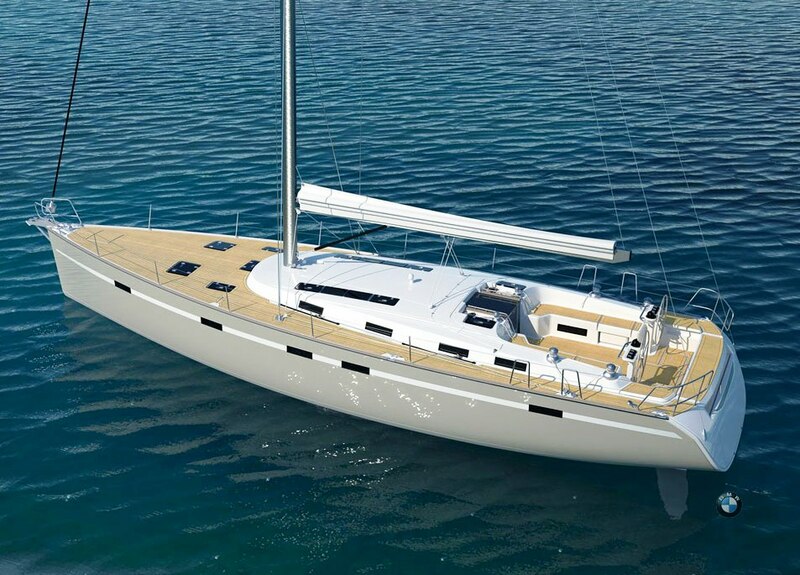 The Cruiser 55 is the latest yacht by Bavaria and her sailing capability and performance has been enhanced with a twin rudder allowing for an optimum water flow to the rudder in the healed position and therefore less drag. 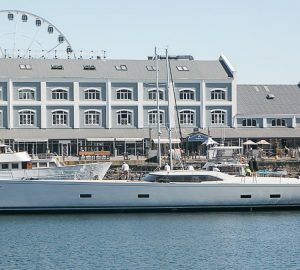 The bow has a five meter completely flat sundeck with flush mounted hatches affording ample space for everyone to find his or her very favorite spot for sunbathing and relaxation; and a large sail storage locker. 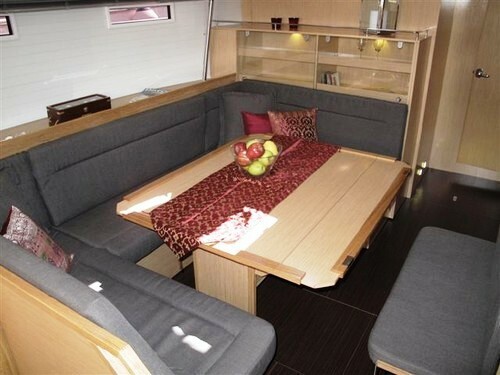 Aft is a very spacious cockpit with an adjustable bench seat alternating as helm seat, additional social seating or rotating to become a boarding gangway. 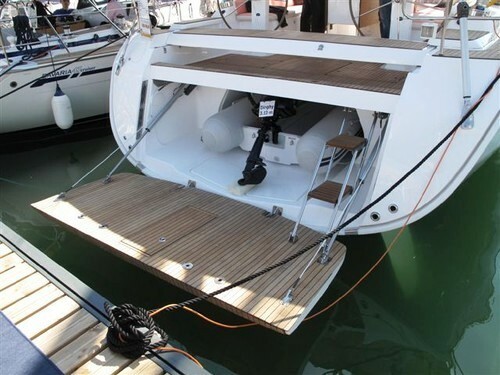 Below the cockpit lies the dinghy garage capable of housing a three meter rigid inflatable with outboard. 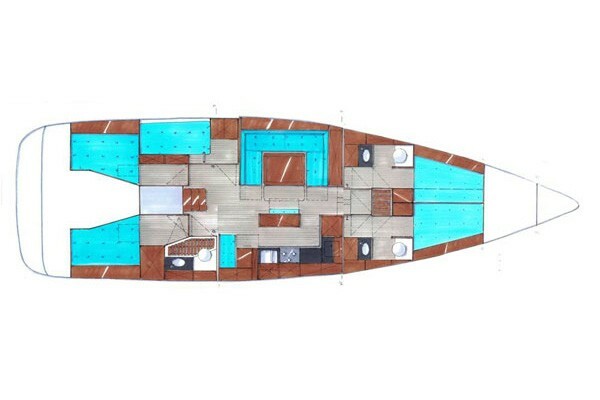 Access to the dinghy garage is through the cockpit floor or by opening the aft transom door which folds down to become an enormous swim platform and launch ramp. 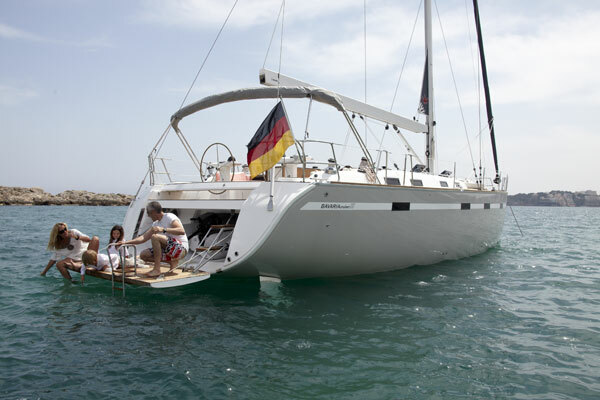 The ladder can be fixed at the four points of the deck (stern, bow, port and starboard side), thus providing a safe access to the vessel. 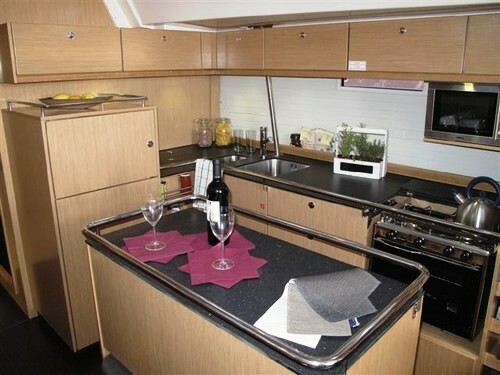 The Bavaria 55 Cruiser has an impressive and spacious saloon with a lot of natural light, a generous settee as well as a freestanding kitchen isle. 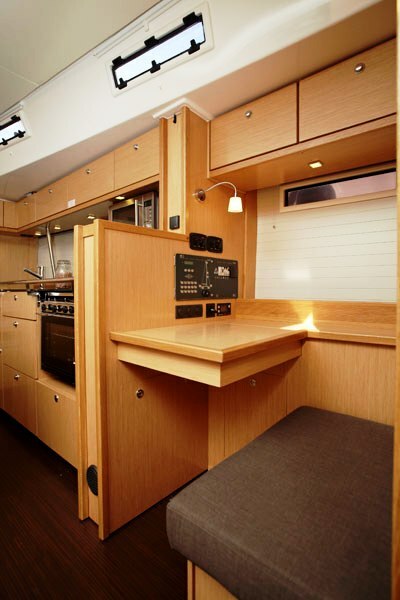 The full-sized fridge, freezer and ice box will easily hold all of your provisions. 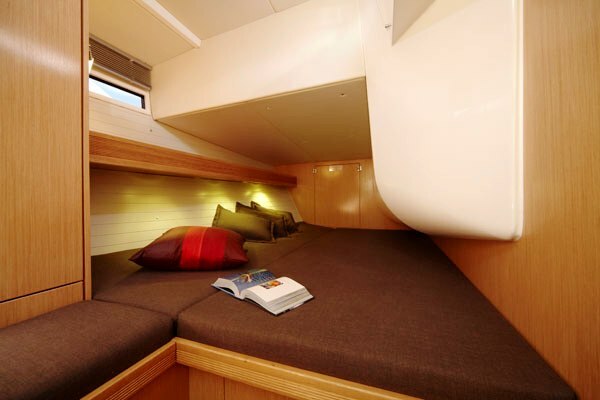 She has two double bed cabins forward, each including a sink/WC and a shared central shower, two port side aft cabins (1x double bed, 1x bunk bed) and a starboard aft cabin equipped with a shower and head. 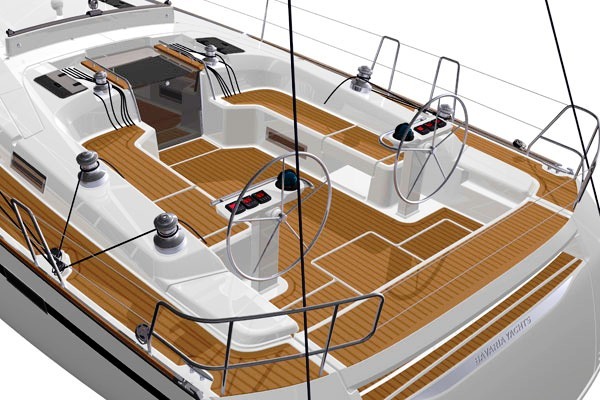 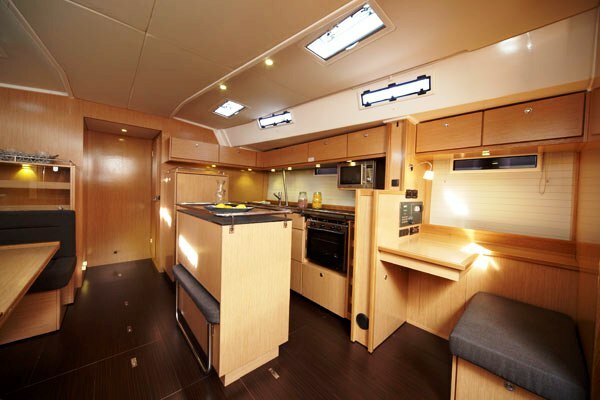 The Bavaria 55 Cruiser has 5 cabins and 3 heads. 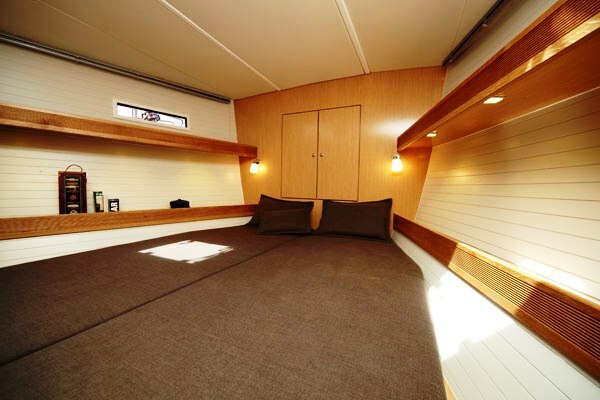 Forward are two double bed cabins each including a sink/WC and a shared central shower. 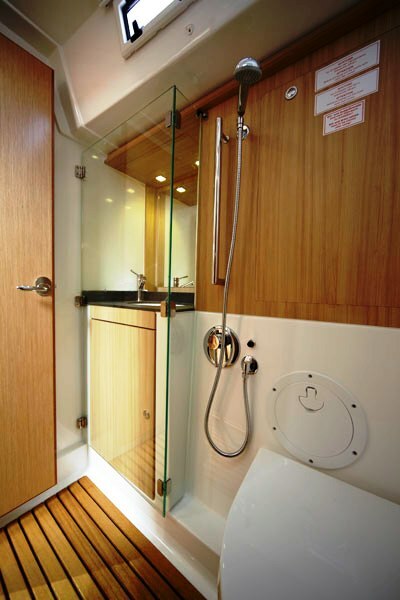 Port side are two aft cabins (1x double bed, 1x bunk bed) and a starboard aft cabin equipped with a shower and head. 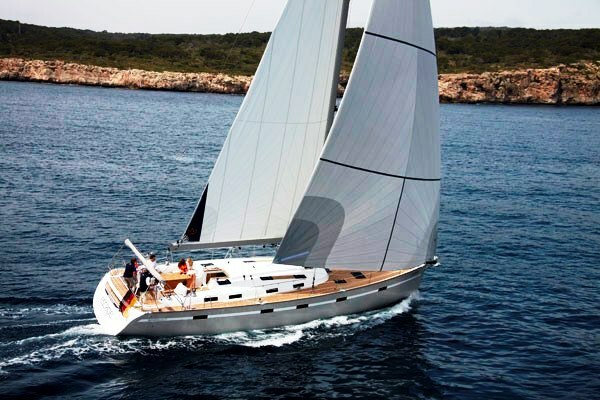 GPS, auto pilot, electric windlass, lazy jacks, furling genoa, twin wheel steering, spray hood, bimini top, wind instruments, chart plotter, bow thruster, twin rudders , dinghy garage, cockpit cushions, CD player with cockpit speakers.